You will find below the horoscope of Katie Stevens with her interactive chart, an excerpt of her astrological portrait and her planetary dominants. If you know the time of birth of Katie Stevens, we would appreciate it if you would send us your information with your source, at stars@astrotheme.com. To thank you for contributing to the enhancement of our astrological database, we shall be glad to send you the astrological portrait (34 pages) of this celebrity. Horoscopes having the same aspect Moon trine Venus (orb 0°48'): Nicole Kidman, Heath Ledger, David Bowie, Kendall Jenner, Russell Crowe, Demi Lovato, Penélope Cruz, Chris Evans (actor), James Franco, Woody Allen, Taylor Lautner, Christy Turlington... Find all the celebrities having this aspect. Horoscopes having the same aspect Mercury trine Mars (orb 0°49'): Miley Cyrus, Marion Cotillard, Jennifer Lawrence, Prince William, Duke of Cambridge, Khloe Kardashian, Edith Piaf, Princess Stephanie of Monaco, Franklin D. Roosevelt, Elizabeth I of England, Lorie (singer), Stevie Wonder, Billy Corgan... Find all the celebrities having this aspect. Celebrities clicked on in real-time: 577,422,699 times. Katherine Mari Stevens (born December 8, 1992) is an American actress and singer best known for finishing in eighth place on the ninth season of American Idol and starring as Karma Ashcroft in the MTV series Faking It and Jane Sloan in Freeform's The Bold Type. As of early November 2010, she has written 9 songs. Stevens was a guest performer on Ídolos Portugal on December 12, 2010, where she sang "All I Want for Christmas Is You" by Mariah Carey. In June 2012, Stevens played the title role in Todrick Hall's YouTube sensation "Beauty and the Beat". She won the role of Karma Ashcroft on the MTV scripted comedy, Faking It, which premiered on April 22, 2014. In 2015, Stevens was cast as Lindsey Willows in the CSI finale movie Immortality. In 2016, it was announced that Stevens was cast as Jane Sloan in the Freeform show The Bold Type which premiered on June 20, 2017. She is engaged to marry her longtime boyfriend, Paul DiGiovanni. Here are some character traits from Katie Stevens's birth chart. This description is far from being comprehensive but it can shed light on his/her personality, which is still interesting for professional astrologers or astrology lovers. 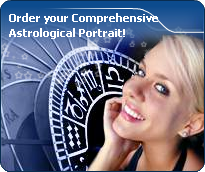 In a matter of minutes, you can get at your email address your astrological portrait (approximately 32 pages), a much more comprehensive report than this portrait of Katie Stevens. Warning: when the birth time is unknown, which is the case for Katie Stevens, a few paragraphs become irrelevant; distributions in hemispheres and quadrants are meaningless, so are dominant houses and houses' accentuations. Therefore, some chapters are removed from this part. The predominance of Water signs indicates high sensitivity and elevation through feelings, Katie Stevens. Your heart and your emotions are your driving forces, and you can't do anything on Earth if you don't feel a strong affective charge (as a matter of fact, the word "feeling" is essential in your psychology). You need to love in order to understand, and to feel in order to take action, to the detriment of a certain vulnerability against which you should learn to fight. Cheers for communication and mobility, Katie Stevens! The predominance of Air signs in your chart favours and amplifies your taste for relations and for all kinds of short trips, whether real (travels) or symbolic (new ideas, mind speculations). You gain in flexibility and adaptability what you lose in self-assertion or in pragmatism. Katie Stevens, the Cardinal mode is dominant here and indicates a predisposition to action, and more exactly, to impulsion and to undertake: you are very keen to implement the plans you have in mind, to get things going and to create them. This is the most important aspect that inspires enthusiasm and adrenalin in you, without which you can grow weary rapidly. You are individualistic (maybe too much?) and assertive. You let others strengthen and improve the constructions which you built with fervour. After this paragraph about dominant planets, of Katie Stevens, here are the character traits that you must read more carefully than the previous texts since they are very specific: the texts about dominant planets only give background information about the personality and remain quite general: they emphasize or, on the contrary, mitigate different particularities or facets of a personality. A human being is a complex whole and only bodies of texts can attempt to successfully figure out all the finer points. You are the very type of the researcher endowed with great intellectual and imaginative capacities, Katie Stevens, and your curiosity is very deep. Researches, riddles and mysteries appeal to you and with a remarkable sixth sense and intuition, you endlessly try to unearth the truth, in all areas, like a psychoanalyst or a detective. You are a very secretive and introverted person, you find it difficult to open up and you rather prefer psychoanalysis. In spite of your clear-sightedness, you find it hard to deal with people: your critical mind, tinted with irony and causticity, may be destructive, especially since your determination and your stubbornness do not incline you to giving up. You are fond of provocations and you handle contradictions skilfully even though you may come across as dishonest. Katie Stevens, it is obvious that you do not easily fall in love. But when you do, your feelings are deep, quiet, serious, and above all, lasting. Your need for security is indispensable for your well being and to enable you to give. You offer security and stability with your sense of duty even though you mix up responsibility and love. The charm of your partner does not only include physical features or aroused sentimental attraction, but also intellectual and moral qualities: you fiercely need authenticity and seriousness because this is the way you are. In general, your loves are not numerous and you become able to express yourself quite late in life. Your quiet and stable feelings are really worth it. If you do not get what you want, the danger is that you may seek refuge in cynicism and that you isolate yourself. It is difficult to find a more sensitive person than you, Katie Stevens. You are able to contain your aggressiveness and it may be hard for you to exteriorize your feelings. You are usually passive and you draw your strength from inertia and resistance more than from the will to take action. Your mood is changing, you show little of yourself and you may surprise with your inopportune reactions that come late, when people have forgotten what it was all about. The only area where you express yourself with zeal and where your actions are successful is the area of home or, more symbolically, in the fields where you can achieve security. In other words, you need to feel comfortable before you can move, in concrete matters as well as in sexuality. This text is only an excerpt from of Katie Stevens's portrait. We hope that it will arouse your curiosity, and that it will prompt you to deepen your knowledge of astrology, as well as to visit and use the wide range of free applications at www.astrotheme.com. Your Life Path is influenced by the number 5, Katie, which indicates changing and off the beaten track destinies. Your activities are varied and placed under the sign of adaptability, and multiplication of resources. More than anyone else, you need to enhance your learning capacities and the broad-mindedness. You must cope as well as you can with changes and transformation occurring in your life. Indeed, Life Path 5 brings about destinies which are prone to twists and turns, as well as to upheavals. Therefore, your life's main orientation may vary considerably at certain stages, and if your destiny is that of adventurers whose course is fraught with obstacles, it may also turn you into an exceedingly unstable person through lack of nuance. You accumulate experiences and enrich your know-how with each crucial period. Your adaptation skills enable you to go through all the successive stages of your life without ever being destabilised by new situations.